Amazon's “Home Services” offers a variety of different services, and while most of the options are pretty standard—plumbers, repairmen—there is one peculiar offering that stands out: In some cities, you can pay to rent a goat. If you're interested in getting rid of unwanted vegetation, but hate weed-whackers, Amazon will send a professional to scope out your yard. If it's deemed OK for the goats to eat, the homeowner will receive an estimate on price, number of goats, and duration of their stay. A temporary pen will be set up to keep the animals in line, and then they'll get to work clearing all the unwanted vegetation. Goats can eat tons of stuff! They're curious little creatures that like to at least taste almost anything resembling a plant. They actually love to munch away at many types of vegetation that we find invasive, ugly, or harmful to humans. 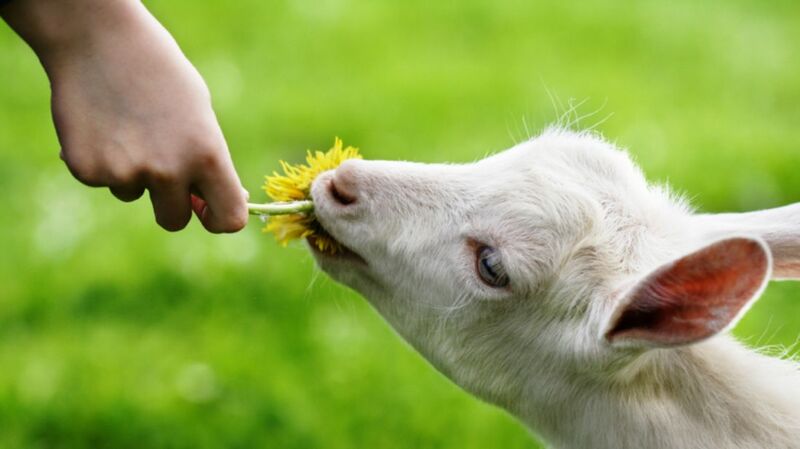 Goats can eat thistle, blackberry, English Ivy, kudzu, poison ivy, poison sumac, poison oak, wisteria, various grasses, and more. When the goats are done, the professional will remove the fence and animals from your property. Amazon generously lets the user keep any droppings the goats have left behind. Check here to see if you can goats in your area.